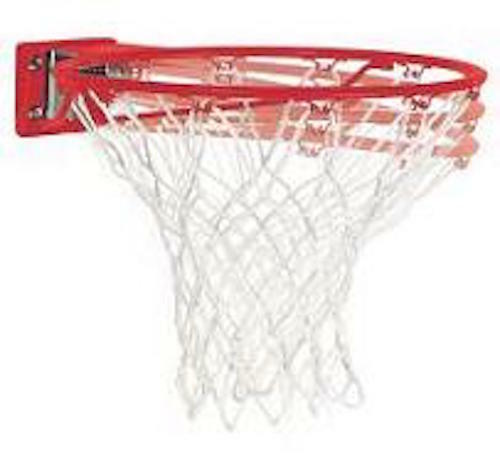 Huffy Spalding Basketball Accessories Hoop Slam Jam Rim with Net. 7800S Huffy Slam Jam Rim is a great huffy rim replacement. Shipping Included in the pricing when shipped to the contiguous 48 states. Sorry, no Canadian shipments available for this product on this website. For International, Puerto Rico, Hawaii and Alaska shipping options click here. The bolt pattern for this unit is 2-7/8"x2-1/2". Huffy basket ball rim has universal mounting plate. Packaging of Huffy Basketball Hoop dimensions are approximately L 24.25" W 19.5" H 4.75"
Weight is about 11 lbs. 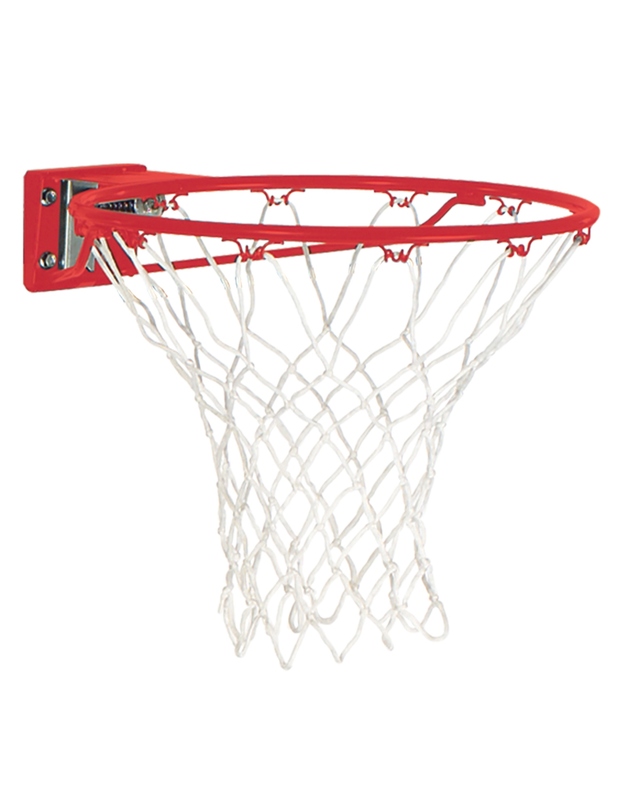 Huffy Basketball Rim is similar to model 5820 Lifetime Basketball Red Slam-It Rim. 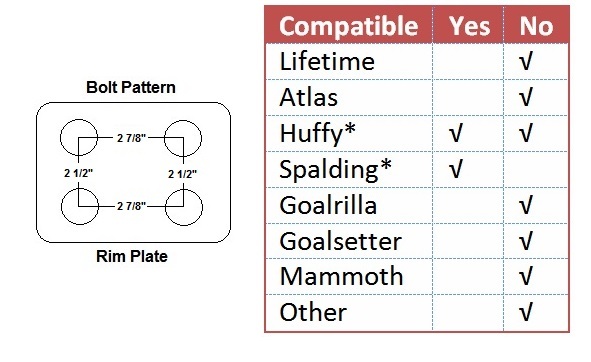 We also carry a large selection of Huffy Backboard Systems, Huffy Basketball Hoop Replacements, Basketball Goals and Backboards by Huffy and Lifetime. Most of our Huffy Basketball Replacement Parts, Huffy Sports Rims and Huffy Basketball Equipment ship via FedEx. Competitive Edge Products, Inc. is an authorized reseller of Spalding Basketball Accessories. If you find the 7800s Slam Jam rim for cheaper anywhere else online, please let us know. We will try to match or beat their advertised price (price of the product + any shipping costs). eBay Customer Positive Review from mom-of-twins! Excellent product quick shipping Thanks! My teenage sons and a neighborhood friend installed very quickly and the shipping was immediate! They are very happy with the rim! The hoop is very well constructed, the shipment arrived FAST - I am pleased with the purchase. But is it really necessary to have a spring loaded hoop for kids who most likely could never reach the rim? Or should we encourage players to showboat or intimidate without risk to themselves or to the game. ? We got the rim for a very specific purpose and as specified. But for general playground use in a harsh environment, I guess this would be a good choice. This replacement basketball rim was very easy to install. My son and his friends pretty much completed the job and he is not very mechanically inclined. Sorry but I cannot recommend this item. 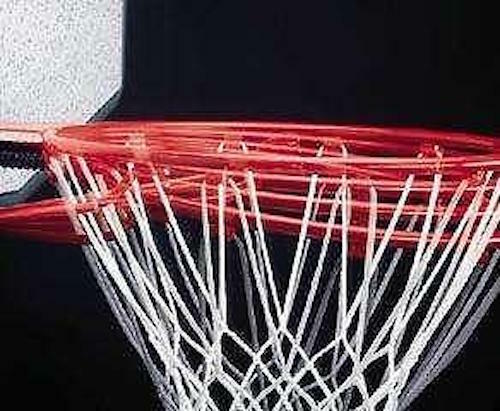 The brackets on the rim,to hold the net, are poorly made and break off from the rim. I have ordered this product twice and this happened both times within the first week of use. Very disappointed in the way this rim is manufactured. Will not order again. Good quality product, arrived early, installed easy. Website very helpful in choosing correct rim based on backboard bolt configuration. I highly recommend this product. Everything about this purchase was excellent. Easy ordering, Quick Shipment, Product was exactly as described, Product fit perfectly. Would definitely shop again. Q: I have the rim and goal but I lost the bolts. where can I get the bolts from and what are the size of they? A: You can get them at 800-558-5234. A: I called this number and I never get an answer. I ordered a new rim but have no idea whether it will be coming with new bolts. Fast Shipping: Orders for the Spalding 7800SR generally leave the warehouse within 1-2 business days.